AVIXA has announced the 2018 recipients of its annual awards. 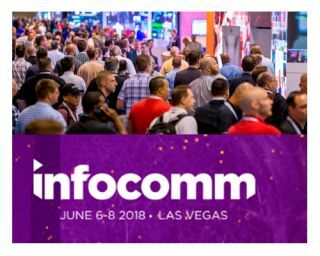 Honorees will be recognized in a ceremony at InfoComm 2018's Center Stage at the Las Vegas Convention Center on Wednesday, June 6, at 4 p.m.
Each year, AVIXA recognizes outstanding AV professionals for their contributions, leadership, and commitment to excellence. In 2018, the AVIXA Awards Committee received a record number of nominations from across the AV industry and named winners for the Adele De Berri Pioneers of AV, Mackey Barron Distinguished Achievement, Fred Dixon Service in Education, CTS Holder of the Year, Educator of the Year, Women in AV, and Young AV Professionals awards. The Harald Thiel Volunteer of the Year Award is bestowed by AVIXA staff. "AVIXA remains committed to honoring accomplished AV professionals who support not only the industry itself, but also the users of audiovisual solutions," said David Labuskes, CEO, AVIXA. "Their significant contribution, innovation, mentorship, and volunteerism have helped set the bar for AV experiences and impacted positively the way people and organizations communicate, entertain, learn, and more. We are gratified by the number of great nominees, and we thank the Awards Committee members for their hard work." What started 50 years ago as Quilter Sound Company became QSC under founders Quilter and the Andrews brothers, leading technological advances across several audio product categories. One of the honorees' lasting legacies, since the time Quilter personally led QSC's original development team, was in the advancement of power amplifier technology. QSC also drove innovation in powered loudspeakers, and recently, the founders saw to fruition their almost-20-year vision of software-based processing. As the professional AV industry began to take its current form, Weems, whose career included positions at Sony, InFocus, NetStreams, Sanyo, and Harman, understood that without training, certification, and standardization, the industry couldn't grow and reach its potential. Starting almost from scratch, Weems and a team of industry volunteers created the framework that still exists today and helped advance the careers of thousands of AV professionals. A past Educator of the Year, Sharer has been a pioneering, influential, and popular instructor at InfoComm shows and other industry events around the world. Sharer created some of the industry's first videoconferencing training, made engaging through his use of digital technologies so that students could experience as they learned. Sharer pioneered many of the best practices that define modern unified communications and collaboration. The author of hundreds of articles and books, he is recognized worldwide as an expert in videoconference system and network design. One of AVIXA's most widely accepted standards is AVIXA V202.01:2016 Display Image Size for 2D Content in Audiovisual Systems (DISCAS). One of DISCAS' earliest developers and ongoing champions is longtime AVIXA volunteer Tollberg. He played a critical role on the task group that created the standard and spearheaded the creation of the DISCAS "calculator"—an online tool for crunching the numbers necessary for creating an optimal viewing experience. In 1999, Pedersen was the sixth full-time Mechdyne employee. In 2012, he became one of only about 300 AV professionals worldwide to hold both CTS-D and CTS-I certifications. He is a consummate volunteer and educator. In addition to being an AVIXA adjunct faculty member, he gives his time and expertise to the local Marshalltown (Iowa) High School, Marshalltown Community College, and nearby Iowa State University. Committed to STEM education, Pedersen is also a member of Iowa's STEM Advisory Council. Phenix's 20-year career has spanned engineering, business development, and corporate leadership. She has been named on various technology patents, innovated display technology across multiple demanding vertical markets, and maintained leadership roles at companies such as Leyard and Planar, Intel, Dell, and Barco. Phenix serves on the Board of AVIXA, as well as the AVIXA Foundation. In 2017, she was recognized as an Industry Innovator by NewBay Media. Gazzo's multidisciplinary and multicultural background helps break down silos and advance the AV industry in an integrated fashion. She operates in nine global markets, developing localized content marketing strategies in three languages. Gazzo is an advocate for diversity in the workplace and uses her legal studies to support improvements in AV business practices and human resources. Jordan was the 2016 CTS Holder of the Year and serves as Chair of the AVIXA Integrators Council. He is a champion of AVIXA certifications and led Electro Acoustics to attain the designation of AVIXA Audiovisual Provider of Excellence (APEx). Jordan and his team at Electro Acoustics have created a farm system, partnering with local community colleges to identify qualified individuals, offer training, and guide them toward rewarding AV careers. Jordan was honored in SCN's 2018 The Nine.